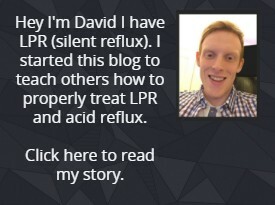 When it comes to LPR (Laryngopharyngeal Reflux) there are a host of causes and symptoms associated with it. One of the causes that is not often talked about it the correlation between LPR and stress, anxiety and depression. When I think back to when I myself first started having the symptoms of LPR I was highly stressed and generally speaking I was quite a nervous person who had quite some anxiety. 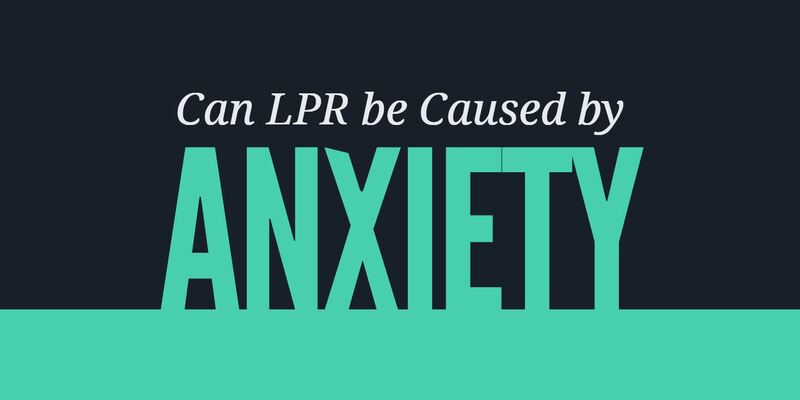 Of course, if you have a host of LPR symptoms anxiety could be the cause of it and the LPR and general bad health could make your anxiety worse just by simply worrying about your health like happened to me initially. When I first had problems with my throat I wasn’t aware I had LPR though further down the road I figured out that was what was affecting me. Once I got to that stage I did all of the best proven treatment and it definitely helped me. Though I feel my mindset change and addressing my anxiety, stress etc. was an extremely important element for me to go that extra step. Not only for me personally as someone who had nervous tendencies and anxiety, but it seems for a lot of others who suffer from LPR also have these tendencies. I have read a lot of posts from people suffering from it everyday and it’s clear to me there seems to be a relation between stress, anxiety and depression with LPR. Of course, this could be how the person was before they developed LPR or this could be because of the havoc that LPR can cause to someone which can amplify these problems. Don’t just take my word for it, there was a study done to see if there is any relationship between LPR and depression. The result of this study showed a significant association between the depression and LPR. You can check this study here. If you have LPR, I would suggest you not only treat LPR as I have suggested in my complete LPR guide but also treat and address any of these problems alongside it to get the best effect possible. My Advice for Helping Anxiety, Stress, Depression etc. For me personally one of the things that really helped me was reading this book called “How to Stop Worrying and Start Living”. This book is excellent at teaching you effective ways to stop worrying which for me was one of my main problems. I could be worrying and anxious about a host of different things – it could be my health at the time or it could be me attending an interview for a job. The important thing to mention was that me worrying caused me to be more nervous and anxious which undoubtedly negatively effected my digestion and in turn worsened my LPR symptoms. The advice in the book really helped me with properly tackling my mentality and general logic when getting anxious or stressed about something. One of the important things I learnt from that book was to think more logically about things. When I say this, I mean for example if you have a health problem in this case LPR I would think about what’s causing and what you can do to make it better. Then I would make a step by step plan to make it better and write it down on paper to help emphasize it in your brain. Another thing to think of logically is to not get stressed over silly things like attending an interview. Before when I attended a job interview I would get very nervous but now I think about it more logically and I say to myself why I am getting anxious – I am simply just talking to other regular people – there is nothing to be anxious about! Another thing I picked up was to focus on today. What that basically means to not to worry about what might happen tomorrow or what happened yesterday. Just live for today. This is great I feel if you are suffering with LPR. I myself had a plan to help my LPR and I did that every day. I was thinking that I am positively doing my best today to help myself and that was a great way for me to ease my mind and help me relax and stop worrying. One final thing I want to mention is having faith. When I say having faith I mean thinking that you can do something. Someone who believes they can do something is much more likely to do it. The same applies to someone who thinks they can’t, because they almost certainly won’t be able to do it. How this applied to me was before I had a more negative mindset when I didn’t have much faith in myself getting better after dealing with LPR for almost 2 years. This negative mindset was holding me back from improving my health. By me changing my mindset to one where I thought more positively by thinking that I will get better, I believe was an important step for me to lower my anxiety, stress and depression. This in turn undoubtedly helped with lessening my LPR symptoms and allowing for me to get on the right path to curing my LPR. Previous articleMelatonin for Acid Reflux – Is it Effective? I have had LPR for three years and have tried all diets ie Gluten free, no dairy, no coffee. Ihave tried many nose drops and omeprazole. Non of these made any difference. I have come to tne conclusion that I do have nasal drip which occurs when I get up (when vertical). This goes at the back of my throat and I am unable to move it. When I lye down and go to bed it goes. The more I try and dislodge it the worse it gets. I live with it now . I had a bad headache the other day and it wqas awful had some paracetamol and it went. I thought at the time I would rather put up with my mucous.